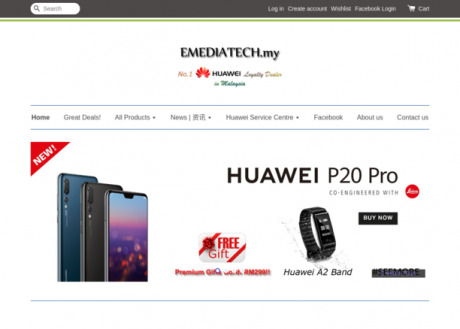 In 2012, E MEDIA officially opened its first ever Huawei Experience Store in Malaysia. The store is Huawei’s way to showcase its devices and offer consumers the chance to get a close-up, first-hand experience with the range of its devices in Huawei Store at Tropicana City Mall, PJ. E MEDIA has been awarded “Loyalty Dealer of the year 2013” by Huawei Malaysia. We are the one Huawei dealer received this award in past 10 years! We also won the “Top 10 Best Dealer of the year 2014 & 2015” by Huawei Malaysia.